Today the staff from Westheights church drove to Harrisburg Pennsylvania. 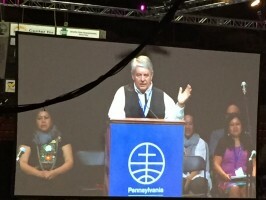 We left at 7 am in anticipation of arriving for the 4 pm opening ceremonies of Mennonite World Conference (MWC) at the Harrisburg Farm Complex. We made it just in time despite missing one of our exits and taking a subsequent detour along the way. 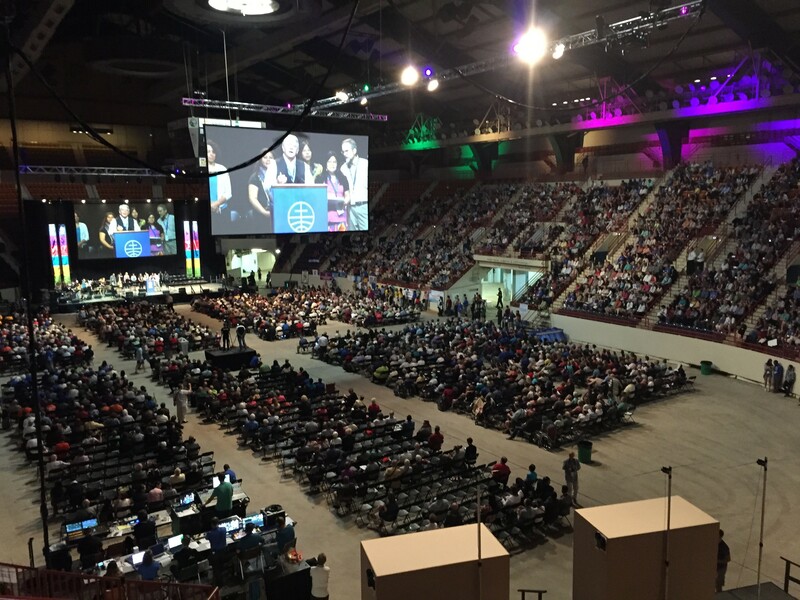 MWC is an event that is held every six years as a celebration and communion of worldwide anabaptist church that includes the Brethren in Christ and many mennonite denominations. Since the event is being held in the USA this year the staff decided that we should take advantage of the close proximity and travel to Pennsylvania to be part of the experience (the event has not been in North America since 1990). The opening event was really enjoyable with lots of music in three different languages. You should recognize the worship coordinator in the picture to the right. It is Don McNiven. Don is part of Westheights congregation (he plays on the worship team) and is the person who is responsible for planning all of the worship services for this international event. He has spent countless hours over the past year working through the complexities of providing worship for a congregation of people that includes many different languages and many different musical styles. When you see him at church next ask him to tell you about some of the challenges he faced in planning the services. He has some good stories. 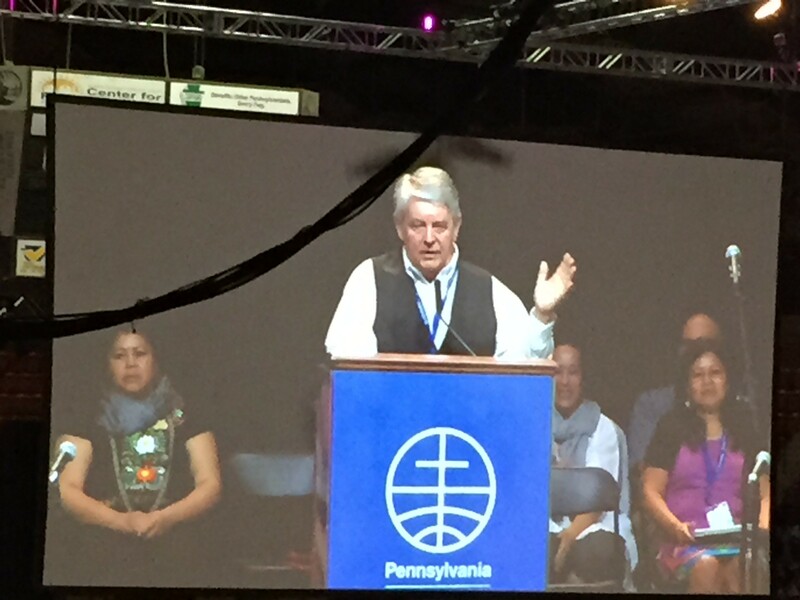 I wish you were all here to experience the richness and breadth of people that make up the worldwide anabaptist church. We will keep you posted on the event and some of the things we are learning. If you would like more information about MWC visit their website at https://www.mwc-cmm.org.